to the Crash Ordering System! 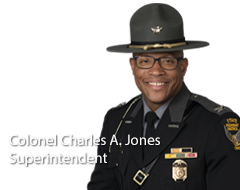 The Ohio State Highway Patrol maintains complete crash reports and crash photographs from crashes investigated by the Ohio State Highway Patrol only. The crash reports and photographs are retained for five years. Please wait a minimum of seven business days from the date of the crash before attempting to order a crash report to ensure the availability of the completed initial report. Also, please be aware some crashes require additional investigation beyond the initial report. Additional information resulting from these investigations may not be available until such investigations are complete. If you have any questions about obtaining a crash report or are unable to view a report you have purchased, please send an e-mail to oshpcrashreports@dps.ohio.gov, or contact the Central Records Unit via mail, telephone or fax as indicated below. Crash reports purchased online will be available to you once your purchase is confirmed. The report will then be accessible by you for up to 72 hours for printing or downloading. Crash photographs purchased online will be either placed on a DVD and sent in the mail, or downloaded electronically. If you choose to receive the photos on DVD, Please allow 4-6 weeks for delivery. Please see below for Report and Photo price structure. Visa, MasterCard, Discover and American Express are currently accepted. Browser Session will expire in 20 minutes - After 20 minutes, all items in your cart will be removed. The Ohio State Highway Patrol maintains criminal investigation reports taken by troopers and Ohio Investigative Unit agents. To order a criminal investigation report or to make a request for other public records under Ohio Revised Code section 149.43, please e-mail the Central Records Unit at ADCentralRecords@dps.ohio.gov.